How does this system handle mobile-first driver engagement? How can we use the ATS’ features to better engage with applicants? How does this help our back office process? Does it speed the VOE process? Ready to learn more? 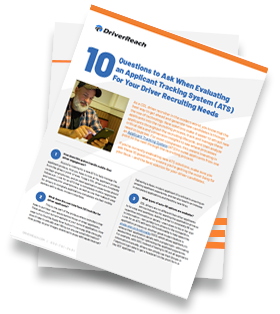 Download our free 10 question guide to ensure you're getting the most bang for your buck - and the best solution for your driver candidates.